HARTFORD - The Travelers Championship added some more talent to its 2019 field. The tournament announced on Monday that Francesco Molinari, the 2018 British Open champion and No. 10 in the World Golf Rankings, and Tony Finau, the 11th-ranked golfer in the world, will be playing at TPC River Highlands in Cromwell this summer. 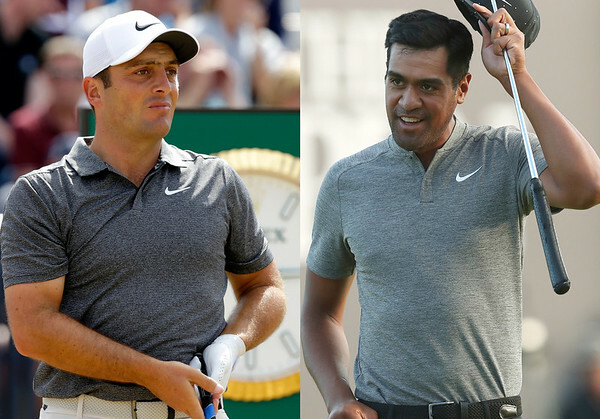 The additions of Molinari and Finau now give the Travelers Championship five players in the top 15 of the world rankings with Brooks Koepka (No. 2), Justin Thomas (No. 4) and Bryson DeChambeau (No. 5) having already committed. Molinari became the first Italian to win a major when he captured the 2018 British Open, which came three weeks after Molinari’s first PGA Tour victory at the Quicken Loans National. He made history at the Ryder Cup, teaming with Tommy Fleetwood to win all four of their partners matches, then beating Phil Mickelson in singles to cap the first 5-0 week by a European player. Molinari, who also won the European Tour’s season-long Race to Dubai in 2018, played in the Travelers Championship in 2015 and 2016. Finau joined the PGA Tour in 2015 and won his first Tour event a year later at the 2016 Puerto Rico Open. A 29-year-old from Utah, Finau already has a runner-up finish this season at the HSBC Champions. In 2018, he represented the United States in the Ryder Cup and finished in the top 10 in three of the four major championships: He tied for 10th at the Masters, finished fifth at the U.S. Open and tied for ninth at the British Open. Finau has played in the Travelers Championship three times, with tie for 17th place in 2017 his best finish. The 2019 Travelers Championship will be held June 17-23. For more information on this year’s tournament, visit www.TravelersChampionship.com . Posted in New Britain Herald, General Sports on Monday, 11 February 2019 17:05. Updated: Monday, 11 February 2019 17:08.